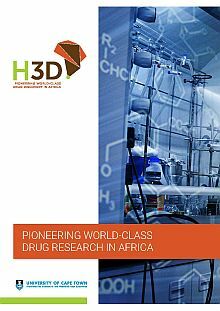 Professor Kelly Chibale, founder and director of the Drug Discovery and Development Centre, H3D, at the University of Cape Town (UCT), has been awarded the prestigious Gold Medal for 2018 by the South African Chemical Institute (SACI) and honoured by the American Society of Tropical Medicine and Hygiene (ASTMH) with the 2018 Commemorative Fund Lecture. Prof Kelly Chibale participated in the Bill and Melinda Gates Foundation's Grand Challenges meeting held in Berlin, Germany from 15-18 October 2018 and gave a Spotlight talk. Learn about the theoretical, practical and organisational aspects of small molecule and natural product drug discovery.